I believe privacy in information access and communication is part & parcel to engagement in full intellectual freedom. Connected with a recent Pew Research Center survey on privacy, The Future of Privacy, Digital Life in 2025, Hal Varian, Chief Economist for Google said something to the affect that users are so in love with convenience that they will fully accept their transactions and access to the network being monitored. 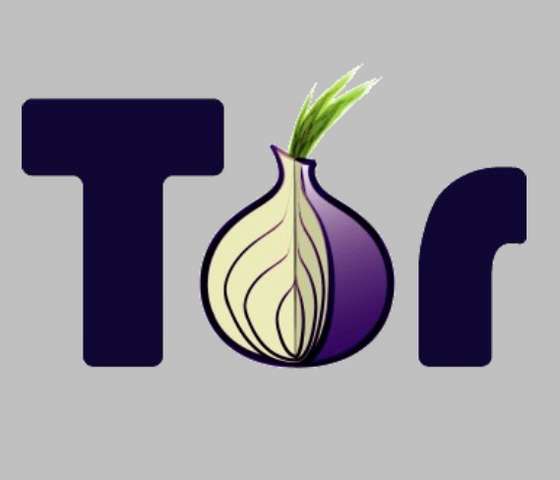 If that was the case, we would not see an increase in the use of privacy based Web browsers such as DuckDuckGo, StartPage and of course increase in Tor usage. The other aspect of Varian’s “convenience” justification for being monitored by corporations and governments is the routine scanning and reading of communications in e-mail, chat and video-conversations. Google offers “free” e-mail, chat and video conversation technologies under their banner. But these are all data-tracking (and content reading) systems. ** Even Microsoft’s Skype is not secure. But there are a wide array of encryption packages (that are free right now) for e-mail and chat. One such package for e-mail is, Enigmail OpenPGP (there are others, but I use this one: jesse@meta21st.com) and OTR Chat, which stands for Off-The-Record. These work with client-based applications so encryption is done on the machine at hand and decrypted at the destination machine by the person intended to receive it. This is referred to as end-to-end encryption (E2EE). Why can’t these same companies or others develop products to sell that work in the same way as these open-source privacy-advocacy projects? Think about it. Google sells applications for e-mail, websites, etc through their Google Apps programs. But all these also collect data and read e-mails. I don’t see why a convenient (to counter Varian’s above point) product can’t be sold at a profit by these same companies: Google, Microsoft, Yahoo! that would also encrypt to enhance privacy of e-mail and communication. Maybe information wants to be free. I can’t say. But, obviously, “information,” according to the model to which we are used to living, operates under a for-profit model. This means that even as communications technologies could be sold (we are already paying for internet access in some way), routine access to information sources on the Internet in an encrypted, private mode might also need to be built on a for-pay model. Right now, those same information searches are being gathered so somebody else can make money. I think we might need to realize that “information” is a product in some format. As consumers, we should be able to choose to reject the internet as a whole, or…in the name of convenience, might have to choose to accept a small payment to access the Networked world’s vast information sources in privacy and true intellectual freedom. There are already a few examples of companies looking for profit while even building technologies that encourage privacy and the right to be completely “forgotten” by server logs. Laws and/or technology must not out-step each other. DuckDuckGo uses general advertising in the browser and StartPage submits anonymizing queries through its servers to Google (which is an attempt to accept the convenience of the Google search model). There are ways to make money even while the Web is accessed in anonymously. The next step is e-mail. I already mentioned Enigmail OpenPGP above, a client-based encryption program that uses a pre-existing e-mail account to encrypt using a desk-top client. This is “free” software that uses an account that already exists. All e-mail submitted through the encryption client is sent encrypted so the host servers can’t read it. But StartPage has been working on a subscription e-mail service called Startmail that I think function on the same encryption standards as as GPG encryption (please read further on this if you are so inclined). They have released a whitepaper on the technical aspects of their e-mail project linked here. I hope to suggest there are modes of producing a profit even while respecting one’s human dignity and privacy. With that intention, I have included a few companies that are working with that agenda. We need not give up on all privacy for the sake of convenience. At the level of the library: academic, public an special libraries alike, all can find ways of formatting technologies and services with privacy and intellectual freedom re-centralized. I challenge this conversation to take the next level. * I must add the caveat that when people use anonymizing technologies to access the world of networked information (the Internet), they must also conform to the technical requirements to support that anonymization. Some changes must be made. This entry was posted in information, privacy and tagged anonymity online, email, retail communication. Hi Jess, Thank you making these observations and supplying the names of specific companies/servers and how they function as it pertains to privacy.